Polytetrafluoroethylene (PTFE) is a synthetic fluoropolymer of tetrafluroethylen which is a high-performing flexible material famous for it’s non-stick surface and it’s high heat resistance. 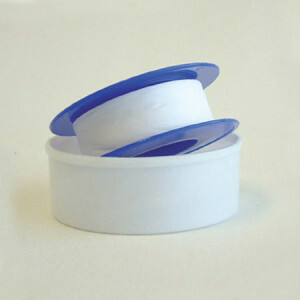 PTFE is well known under the brand name Teflon, which was discovered in 1938. It is used in a variety of industries and applications to reduce the coefficient of friction. Due to the chemical resistance of fluoropolymer bonds, PTFE is non-reactive to numerous chemicals. PTFE’s low friction reduces abrasion, wear and energy efficiency of machinery. PTFE is used in industrial applications where sliding action of parts because it delivers significantly better performance than nylon or acetal. With the ability to convert your ideas into reality, CDNT offers the largest selection of innovative, high performing PTFE films, PTFE tapes and PTFE materials that are reliable, durable, and flexible to work with. Its non-stick properties and high heat resistance is why PTFE is the #1 material used for non-stick coating for frying pans and other cookware. For electrical applications, it makes for an excellent insulating material because of its non-conductivity. PTFE is also non-reactive to numerous chemicals, due to the chemical resistance of fluoropolymer bonds; making it effective in containers and pipework for reactive and corrosive substances. Because of its low friction, PTFE is used in industrial applications where sliding action of parts is required, such as with bearings, gears, slide plates, etc. In these applications.